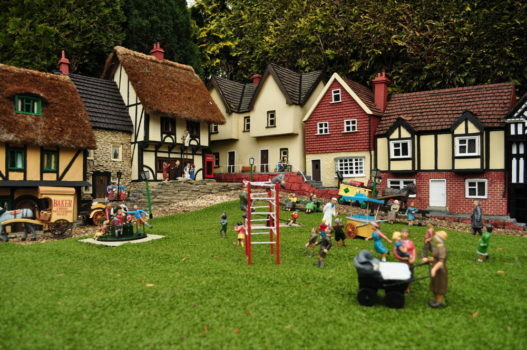 In a clear display of media bias, the BBC fawned over Jeremy Corbyn’s ramblings to a mere hundred thousand hippies at an obscure “music festival” but ignored Theresa May’s inspiring message to dozens of plaster figurines at a well-known model village. Plaster villagers holding cute little Vote Conservative posters, stood in silence, as if transfixed, while the PM reprised her finest speeches from the recent election campaign. Meanwhile, in a Somerset field, before hearing the music they’d actually come for, huddled masses in need of a shower were forced to stand around and endure inane drivel about equality and fairness, from an old man who should have been pensioned off years ago. “Surely, time should now be called on the nakedly biased BBC.” said a Mr Paul Dacre, the well-respected editor of a middle of the road national newspaper.